The news cycle is still covering Meghan, Duchess of Sussex’s star-studded New York City baby shower back in February, and now there’s news she might be gearing up for a second celebration in the U.K. The thought of a second baby shower hosted by Catherine, Duchess of Cambridge and involving Doria Ragland is exciting. But we’re already crossing our fingers that Meghan’s most famous in-law, Queen Elizabeth II, will make an appearance with no less than two corgis in tow (it’d be rude not to show up, right?). And we’d obviously love to see dear friends like Jessica Mulroney, Amal Clooney and Victoria Beckham show up. Other guests we hope to see there? Definitely Priyanka Chopra, who recently defended her friendship with Meghan and we know would be at the shower in a heartbeat if invited. Oh, and maybe there’s room to add some other A-listers, like Oprah Winfrey, who would undoubtedly give Meghan a killer baby shower gift. 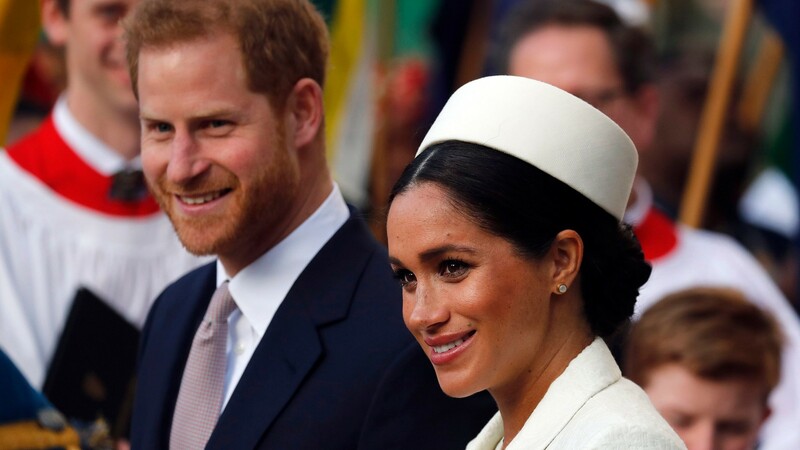 Basically, we are all in on a second celebration for Baby Sussex, despite what certain haters who’ve shaded Meghan’s baby shower recently (cough, Dickie Arbiter, cough) may say. Go have fun, Meghan, and don’t get roped into playing any weird baby shower games, like that one where you eat food out of a diaper.